Most mail won't be delivered, Congress has paused and financial markets are closed Wednesday to honor the 41st president. 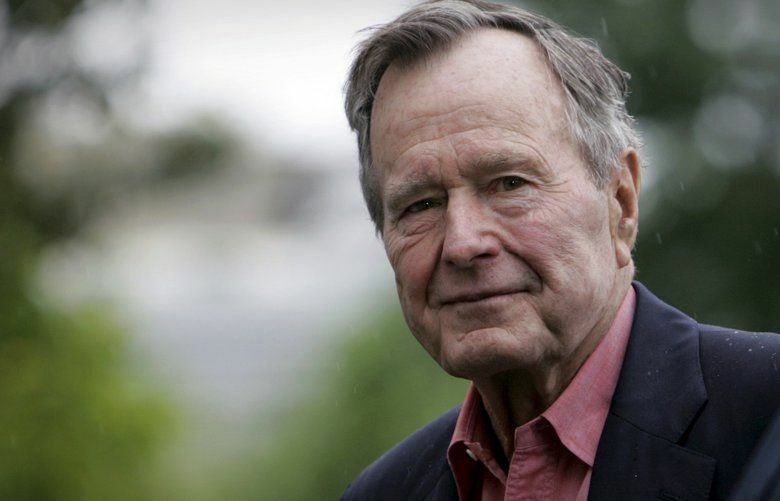 You won’t get your regular mail delivery Wednesday during a national day of mourning to honor former President George H.W. 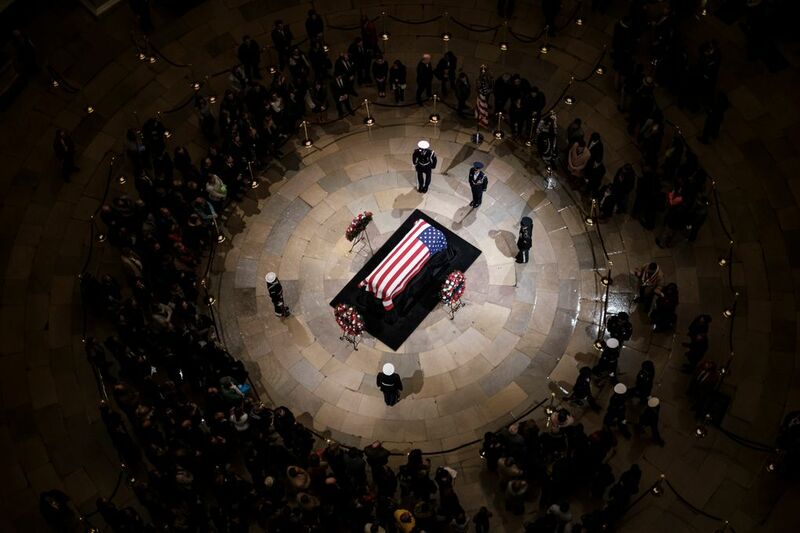 Bush, who died Friday. 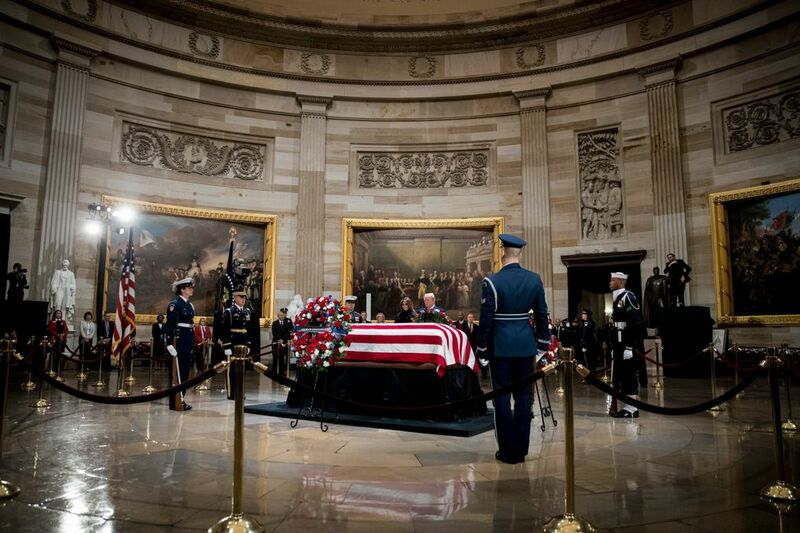 Major U.S. stock markets closed in honor of Bush, who died at 94. The House has canceled all votes for the week and the Senate has postponed votes until after Wednesday’s funeral. The U.S. Postal Service has suspended regular mail delivery Wednesday out of respect for Bush. Some services will continue, however, as the Postal Service gears up for the holidays. Most federal employees are off work on Wednesday, according to the Office of Personnel Management. The agency’s guidance does not specify which employees are to be kept on the job, leaving that up to individual agencies. Some federal parks are closed or have limited service, the National Park Service said. Mount Rainier National Park outside Seattle is open but waiving entrance fees, as is Bryce Canyon National Park in Utah. Two popular destinations in New York, the Statue of Liberty National Monument and Ellis Island, remained open, and park rangers there are encouraging people to think of Bush during their visits. Some states with connections to Bush, such as Texas and Maine, also closed their government offices. The New York Stock Exchange and Nasdaq were closed Wednesday in observance of the national day of mourning. House lawmakers had been scheduled to vote on 14 bills under suspension of the rules this week, in addition to the farm bill conference report and a fiscal 2019 spending package. Current funding for nine Cabinet departments and dozens of smaller agencies will run dry on Dec. 7. 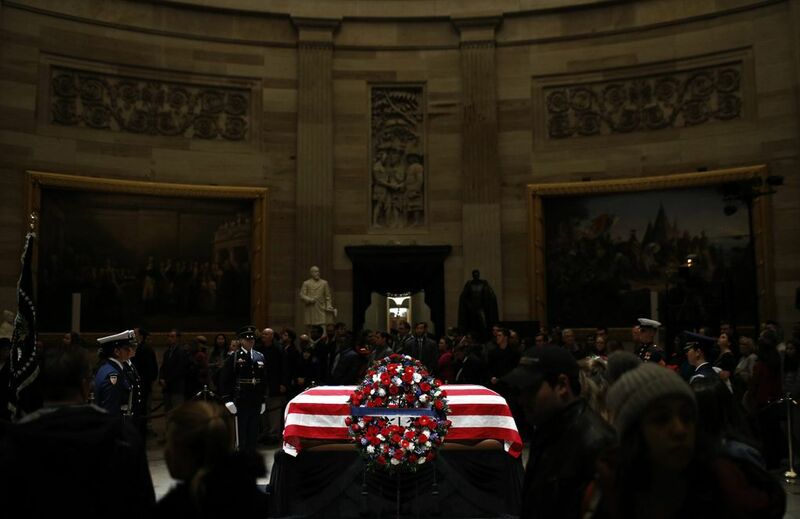 Bush’s passing on Friday scrambled the congressional calendar and changed the calculation of government shutdown politics. President Donald Trump renewed his threat of a shutdown last week, but in light of ceremonies for Bush, he said Saturday he was open to a short-term extension of spending talks if congressional leaders request one. The news of Bush’s death may have sealed the fact that lawmakers would need a stopgap spending solution. The next votes in the House are scheduled for Monday, Dec. 10, at 6:30 p.m. In the Senate, the next roll call votes are expected Wednesday afternoon.